Behind the throng of teenagers who gather each morning in the commons area at West Feliciana High School is a wall decorated with a significant quotation. Though grand in size and placed centrally in the school, many students walk absently near it, finding it difficult to hear its message over the hum of their excited classmates. Principal Abby Cochran wants students not only to read it but to process its powerful message. Inspired by Meier’s charge, she feels strongly that the words precisely identify the incredible potential of public education and the worthwhile challenge that she and other administrators must meet. She considered ways to direct students back to the quotation, ultimately deciding to incentivize the students with a cash reward of $100 for the best written explanation of what they believe the quotation means. At the very least, she thought, she could point students back to the words; at most, students would thoughtfully consider how these ideas affect them, even if only for the money. What the students did not know was that even the $100 bill had its own inspiring, poignant history. The money had been sitting in Cochran’s desk for months. 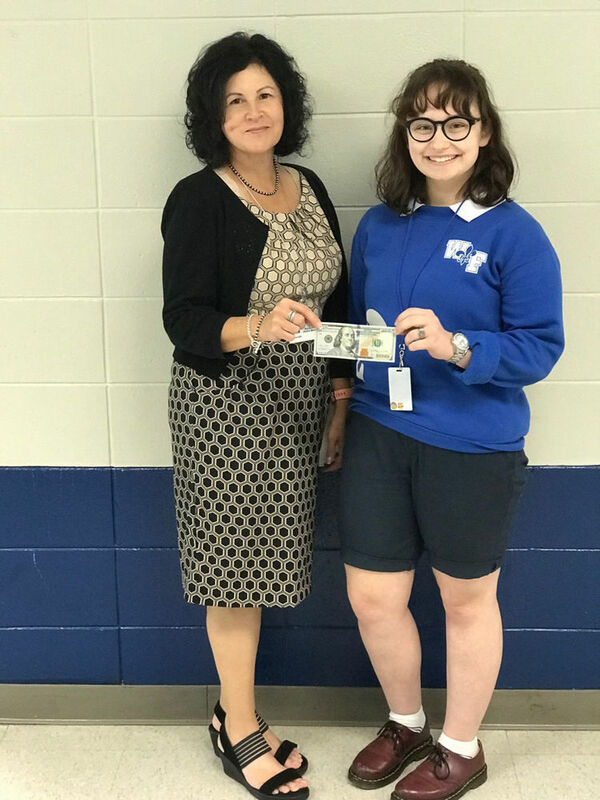 She first came upon it after a faculty meeting in which the Parent-Teacher Organization hosted an egg hunt as part of Teacher Appreciation Week. Eggs filled with candy and different values of bills collected by the organization were strewn about a section of campus, and teachers of varied ages and backgrounds shared the same excitement as schoolchildren as they ran around filling their baskets. The Golden Egg contained the $100 bill. Everyone soon discovered that the winner was Lynn Ellison, Introduction to Business Computer Applications teacher. However, only Cochran knew that she returned the money, wanting to donate it back to the school. If her coworkers found out, they would not be surprised — it would simply be further evidence of her character. This generosity afforded the bill greater value than what it represented, and Cochran, understanding this, waited for the right opportunity to reinvest it. Though teachers are expected by many to sacrifice for their profession, Cochran was adamant that Ellison keep her prize. Still, Ellison and countless teachers like her are hard-pressed to put themselves above the needs of their schools and students. Cochran knew it had to go to a student, and she knew it had to be meaningful. Senior Summer Knight’s written interpretation of the quotation was just that. Comparing the lofty concepts outlined in the quotation to her daily interactions with her peers, she eloquently elaborated on the remarkable and unique opportunities of public school, especially one so deeply rooted in its community.